The Poets' Co-op Fall 2005 Open Reading Series will be held on Thursday, September 1st, October 6th & November 3rd at the Loveland Museum on the corner of Fifth & Lincoln. Readings will be downstairs at the Foote Gallery/Auditorium from 7:00 - 9:00 p.m.
Bataan Faigao & Wendy Woo! Bataan’s poetry is published in Festschrift for KFB (an international anthology of poetry, Tambimuttu, ed., Lyrebird Press, London, 1972), Bombay Gin, New Blood, New York Underground, Ningas Cogon, Human Means, The New Savage State, Sniper Logic and other publications. Recently, his poetry was anthologized in Brown River, White Ocean, An Anthology of Twentieth-century Philippine Literature in English (Luis Francia, ed., Rutgers University Press, 1993) and Returning a Borrowed Tongue (Nick Carbo, ed., Coffee House Press, 1996). A short story is included in the anthology Flippin': Filipinos on America (Asian American Writers' Workshop, N. Y., 1996). 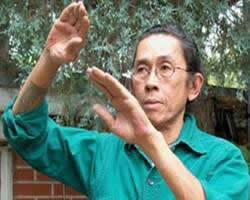 He has given public readings in New York City and in Boulder through the Boulder Poetry Project and Naropa University. A collaboration CD, Ecolalia, was released in 2000 and features his poetry with Wendy Woo’s music. Mr. Faigao is a recipient of awards from the Boulder Arts Council (1984 and 1982). Bataan’s spoken word performance will be interwoven with the singing & guitar work of Wendy Woo. 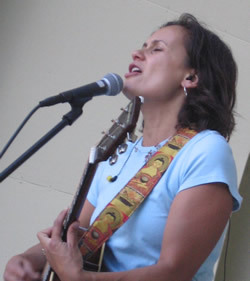 Wendy, a winner of numerous awards for music and songwriting, has been playing to sold out venues throughout Colorado and attracting national music industry attention. Catherine Wiley was born in Rochester, New York, and has lived and taught in Denver since 1990. She holds degrees from the University of Chicago, University of Texas at Austin, and the University of Wisconsin at Madison, and has published scholarly articles on American, British, and Irish Drama, feminist criticism, and Virginia Woolf, and an anthology on twentieth century women writers. Her poetry chapbook, Failing Better, was a finalist for the 2004 Colorado Book Award, and her poems appear in Salamander, Kalliope, Small Pond Magazine, California Quarterly, and other venues. Mark Doty has called her work “unsentimental, direct, and tender all at once,” and her work has garnered a Pushcart Prize nomination. She is currently editing a book of essays on teaching poor children in public schools. Bryan Roth received his education at the University of Indianapolis and Indiana University in Bloomington, Indiana. He has studied with some of the best poets in the country, including Stephen Dobyns, Lynn Emanuel, Andrew Hudgins, Edward Hirsch, David Wojahn, the late Lynda Hull, and Pulitzer-Prize winners Charles Simic, Rita Dove, and the late Mona van Duyn. He has been writing poetry since the age of 14, and currently is a freelance editor and writer living in Boulder, Colorado, where he is working on two novels and several poetry projects. He is also the founder and Executive Director of the Colorado Poets Association.